We are a sports-loving family! Usually we’re watching games on TV but we do make it to a few baseball games every season. 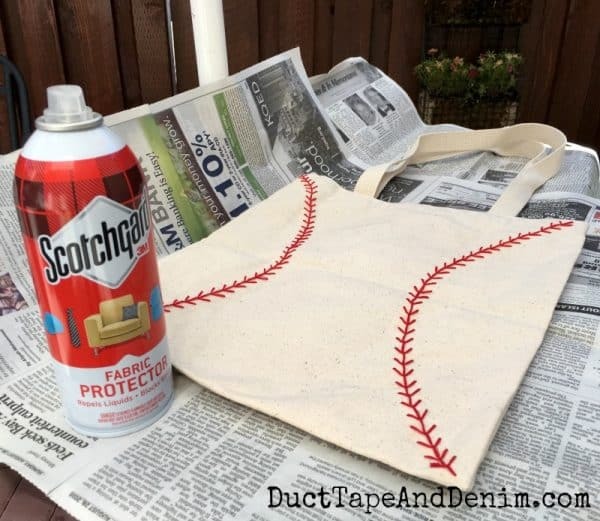 I don’t like bringing my purse with me so I thought I’d make a special embroidered baseball bag for taking our food and other necessities to the games. First, I penciled in a line on one side for my embroidery to follow. I just free-handed a semi-circle. I did want to make sure the two sides were similar so I just measured the widest part with my hand and made a tiny pencil mark on the other side the same distance away from the side. Then I just made an arch connecting the two corners with that mark in the center. 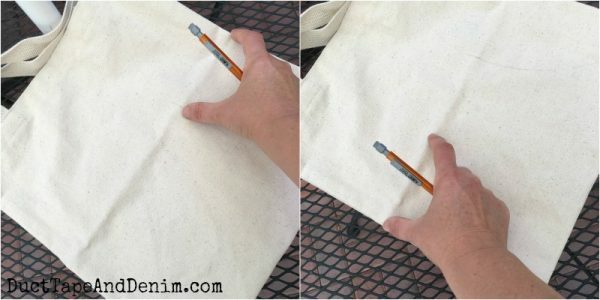 This is the first embroidery projects I’ve EVER shared on my blog! I used to embroider a lot but haven’t in years. But with embroidery showing up in jeans and other fashion again you’ll probably be seeing more here, too. This is a pretty basic embroidery stitch called a “fern stitch”. I watched this video to refresh my memory. Now to protect my bag from stains! 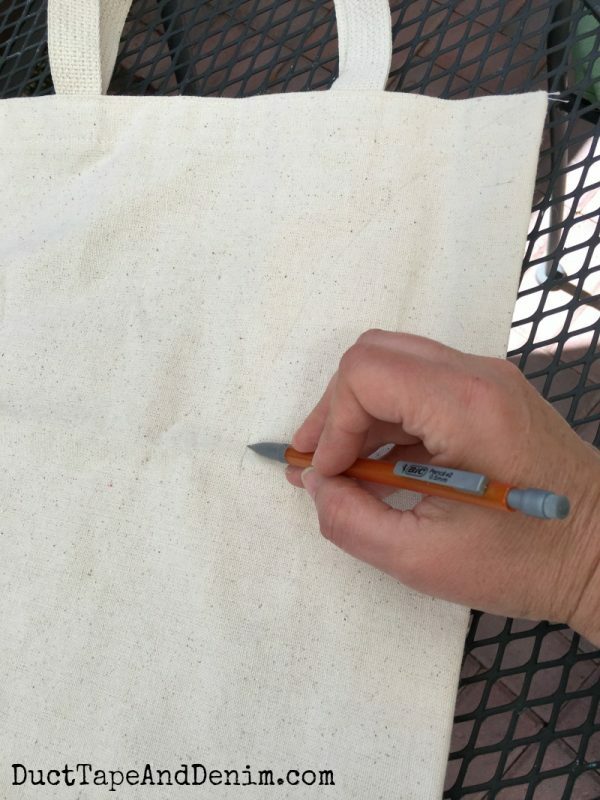 Scotchgard™ is great for protecting furniture, backpacks, shoes, tablecloths and placemats, caps, jackets, and other clothing items. 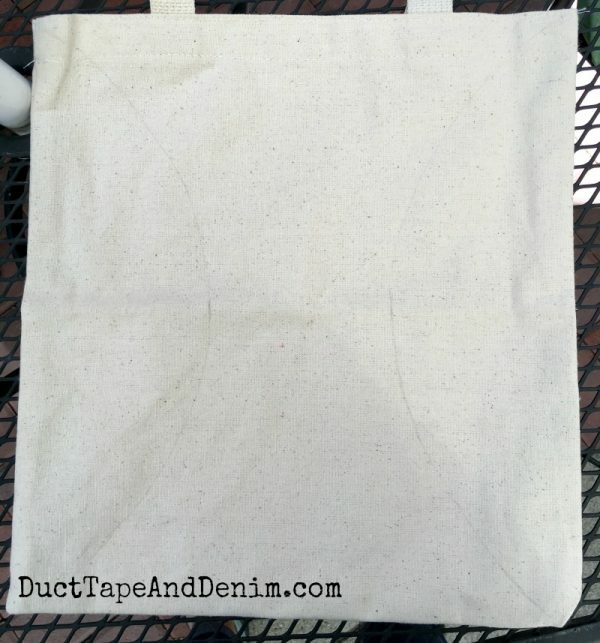 It should NOT be used on microfiber, suede, leather, carpet, or rugs. I covered my table with newspaper to protect it from overspray. Then I shook the can well. I tested the spray on the bottom embroidered part to test colorfastness. This would be really important on a colored fabric, too. Scotchgard™ won’t change the color of the fabric. I noticed a little bit of a change when I started spraying but it returned the the original color when it dried. After the first coat dried I added a second. Two light coats are better than one heavy coat. Now I’m ready to head out to the game with my baseball bag full of snacks and other necessities. Scotchgard™ will protect it from soda spills or anything else it might encounter when I drop it on the floor of the stadium. When it does finally need washing, I’ll just spray it with Scotchgard™ again. I’m thinking my jeans may need a little embroidery on them, too. What do you think? Baseballs going down the side of the leg? Have you embroidered anything lately? I’d love to hear about it. Inspired me by sharing in the comment section. Thanks! Originally published 9/8/16. We share at these blog parties. Featured on Swing into Spring, Crafty Moms Share. « 16 Thrift Store Jewelry Box Makeovers that will Make You Want to Pull Out the Paintbrush! Wow, I love this project! I have two sports nuts but only one of them would carry this cute tote 🙂 I’ll have to learn that stitch, I am so not an embroider but this looks like of simple. Love it! Love this! My son is just starting out as a little baseball player so I know I’ll wind up a total “baseball mom”! I’ll have to look for the Scotchguard Fabric Protector. Visiting from BOB. 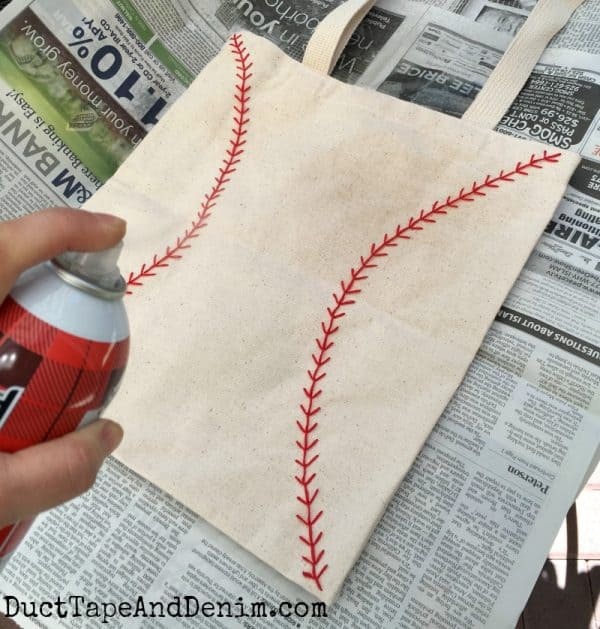 My son plays baseball and I love this project! Thanks for sharing on To Grandma’s House We Go! I’ll be featuring you next week! 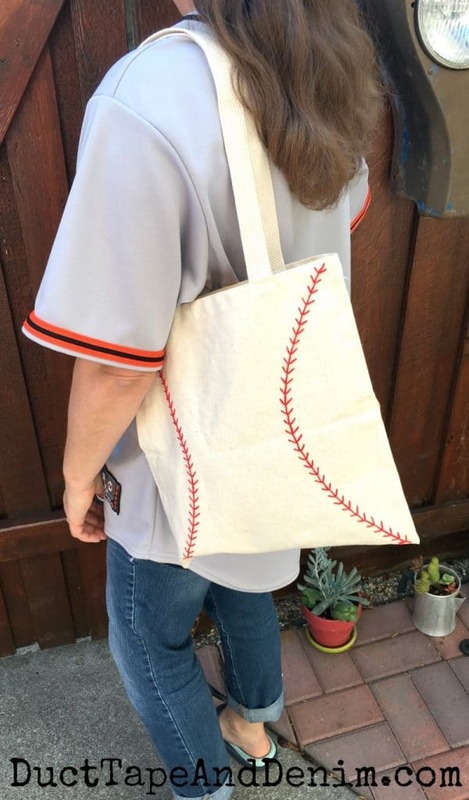 I love baseball and this bag is darling! You make it look easy too. 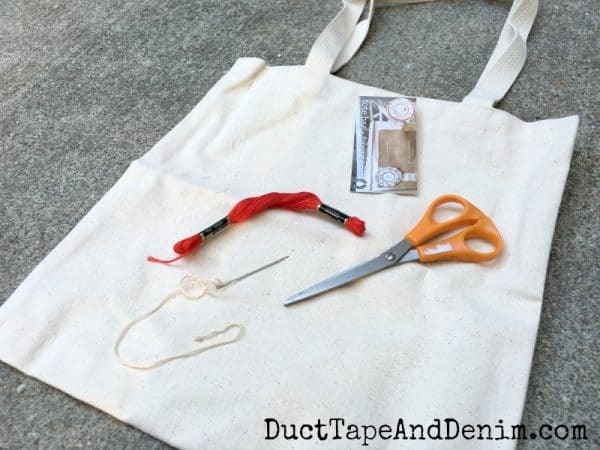 Thanks for linking up at this weeks OVER THE MOON LINK PARTY, and I will be featuring your bag on the party next week, which goes live tomorrow, Sunday evening at 5 pm central. I hope you will drop by to see and also link up again. That is such a clever idea. Love it. I wonder if it could be adapted for other sports balls… you’ve got me thinking! 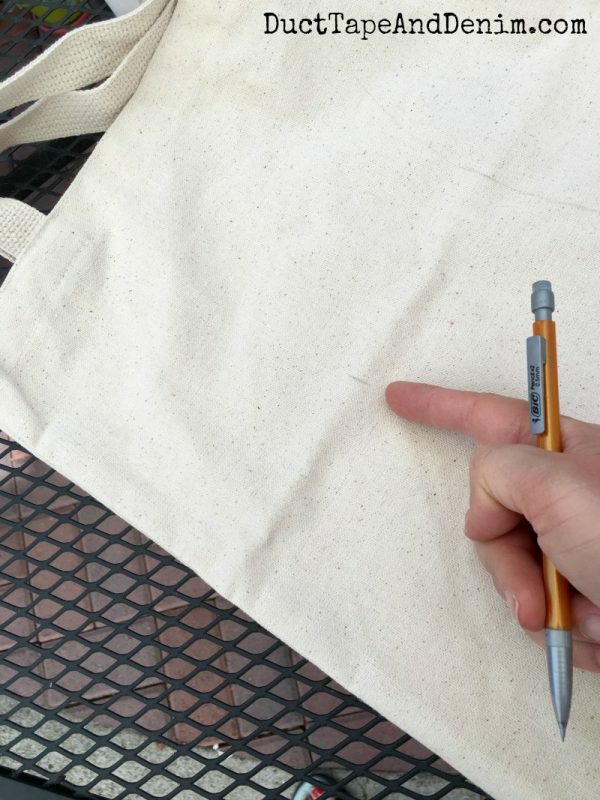 I loved your bag; your simple directions would make it easy to enlarge, decrease to make it into a huge tote, pillow cover, etc. It sure would make it an easy way for the 12 yo grand to keep all her baseball stuff in ONE place for Rec league! I love tracing dinner plates, rolls of masking tape, etc. caz i can’t freehand a circle to save my life! And THAT’ S easier than fiddling with a compass! This is so cute! It’s perfect for summertime 🙂 Thanks for sharing at our Merry Monday party. 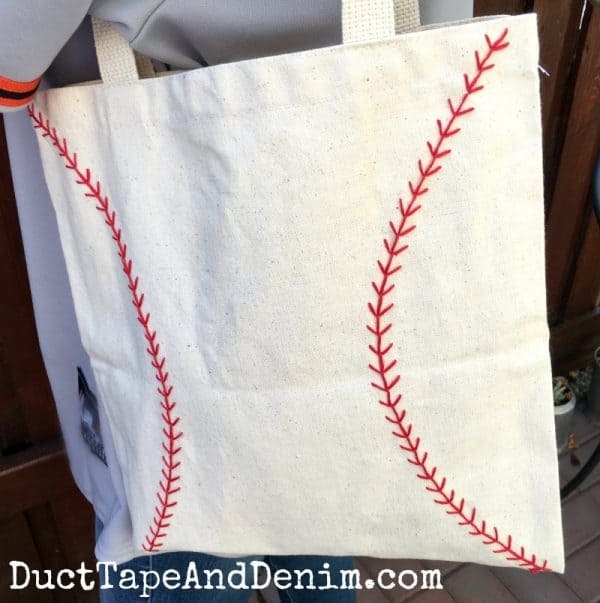 I’ll be featuring your baseball tote at this week’s party. We’d love to have you link up again!